Learn how to deploy a monolithic two-tier LAMP stack web app into an Amazon Lightsail instance, as well as some ways to scale your app with load balancers and snapshots. We’ll also show you how to migrate your application so that you can leverage Amazon EC2 and Amazon Relational Database (RDS). 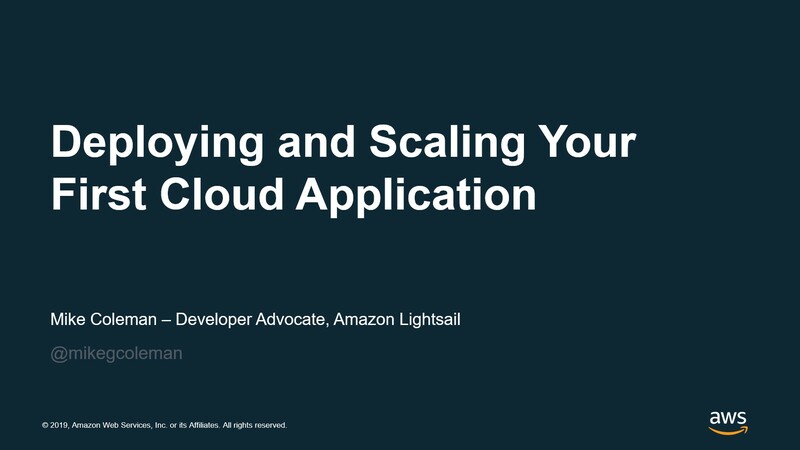 By the end of the tech talk, you’ll walk away with some best practices for deploying applications on Lightsail, and you’ll have a deep understanding of when to choose Lightsail, EC2 or RDS.